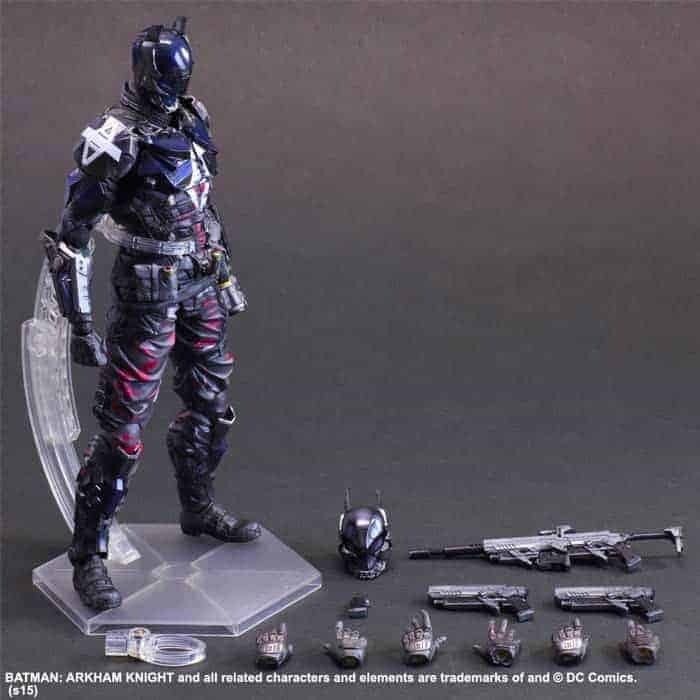 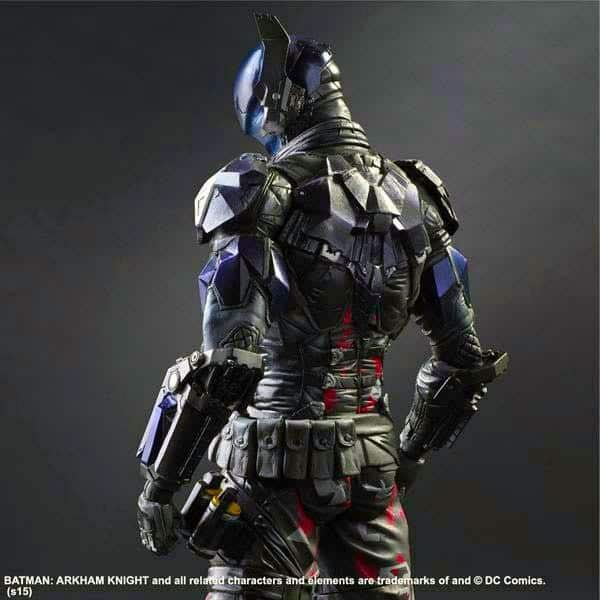 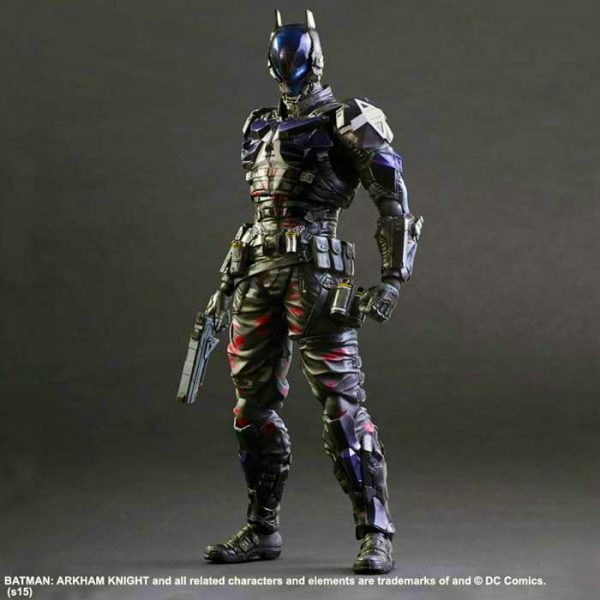 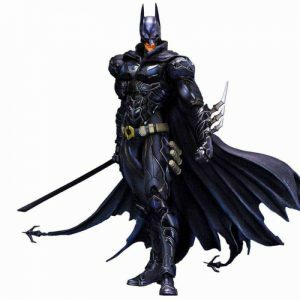 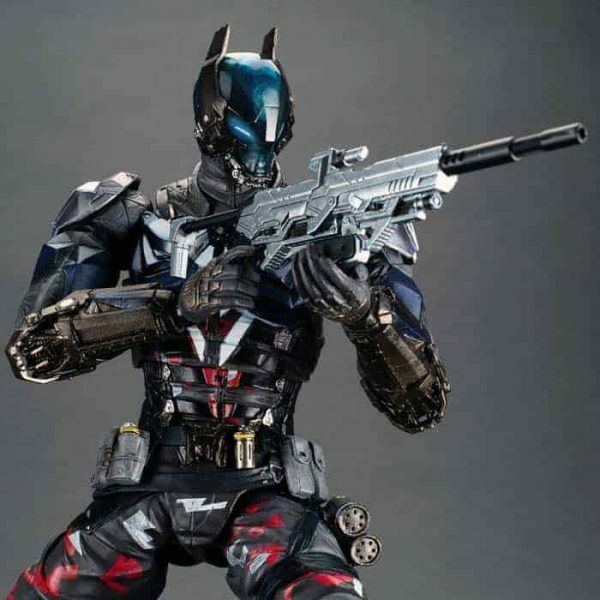 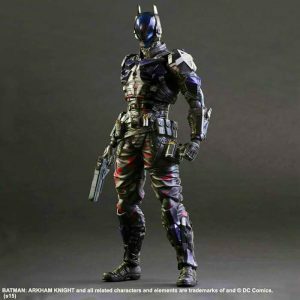 PLAY ARTS Kai Batman Arkham Knight Action Figure is full of painstaking detail and comes equipped with additional parts. 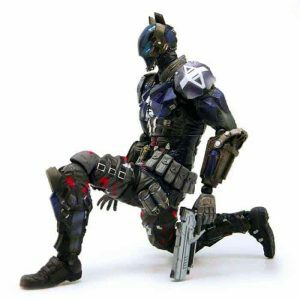 A symbolic letter “A” emblazoned on his chest, mechanical armor, army fatigues – this figure shows off a wide range of different realistic textures. 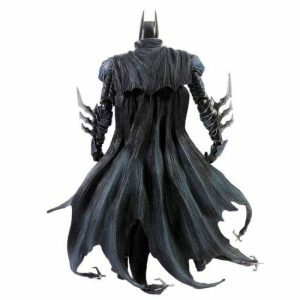 During sculpting special attention was paid to keeping a sharp silhouette all around. His helmet looks very similar to that of the BATMAN, has a translucent visor. 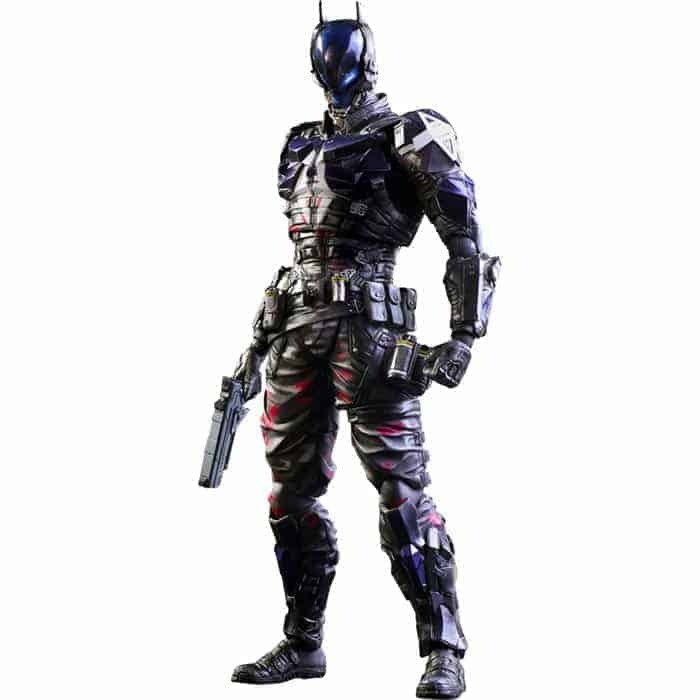 There are two interchangeable helmet pieces: one to recreate his default appearance, and a second one painted so as to give off a glowing eye effect. 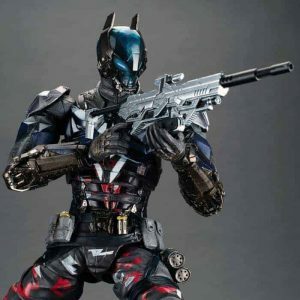 Other accessories include: a sniper rifle, two handguns, and three interchangeable hands to allow for a variety of action poses.